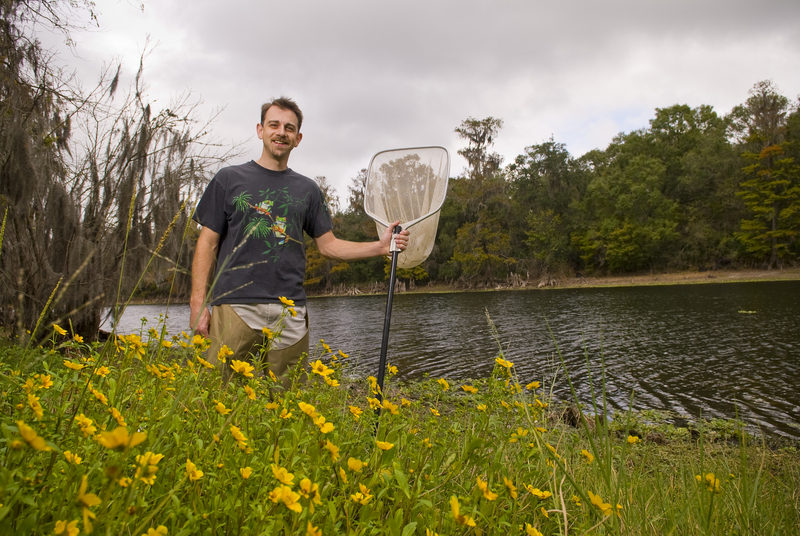 TAMPA, Fla. -- The University of South Florida Faculty Senate Honors and Awards Council has selected an integrative biology professor to receive the 2016 Jerome Krivanek Distinguished Teacher Award for his strength as a professor at the university. Jason Rohr, Ph.D., received this award due to his use of originality, creativity and technical proficiency in the classroom. Rohr has demonstrated his strength to communicate with students to further the enhancement of teaching, training and learning of undergraduate and graduate students in the Department of Integrative Biology. The Jerome Krivanek Distinguished Teacher Award is presented to a USF faculty member each year based on their ability to demonstrate innovation in the classroom by furthering the advancement of learning of their students. The award will beofficially presented to Rohr later this year by the Office of the Provost and Executive Vice President. Rohr began his teaching career as an assistant professor in 2007 with the Department of Integrative Biology. In 2011, Rohr became an associate professor in the department where he currently focuses on teaching courses on parasitology, animal behavior and graduate-level introductory and advanced biological statistics. Rohr was also recently appointed as the Director of the Center for Infectious Disease Ecology Research (CIDER), a newly formed research center at USF, which is affiliated with the Department of Integrative Biology. Rohr’s world-renowned research includes studies on ecotoxicity of pesticides and herbicides, chytrid fungal effects on amphibians and anthropogenic changes to ecosystems.